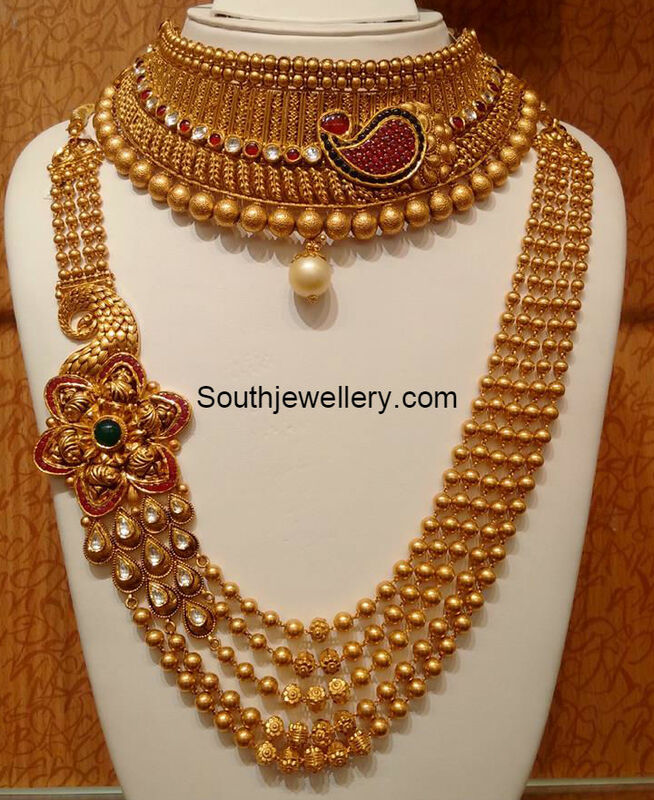 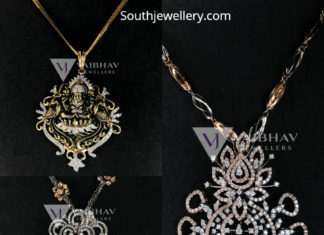 18 Carat gold elegant diamond pendant designs for black beads mangalsutra chains by P.N. 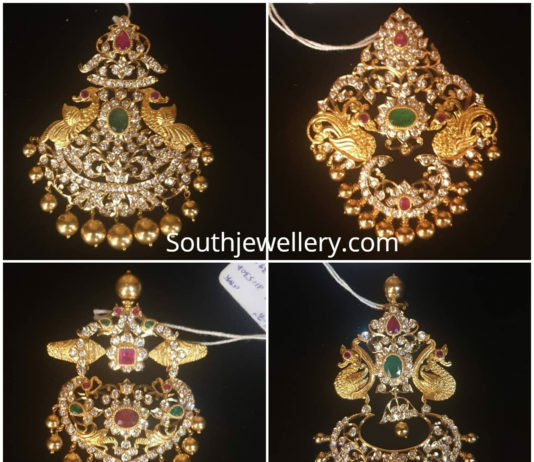 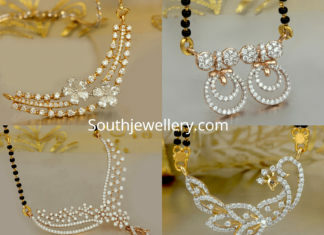 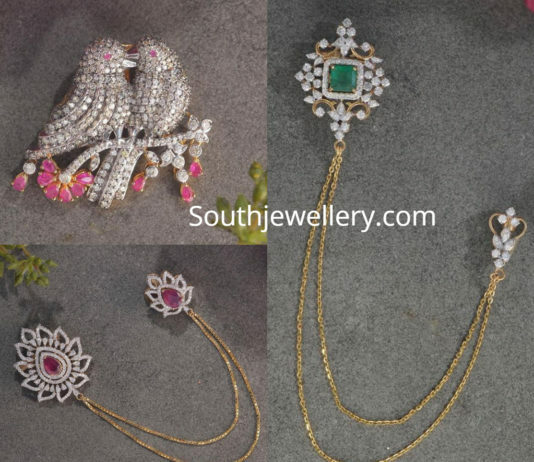 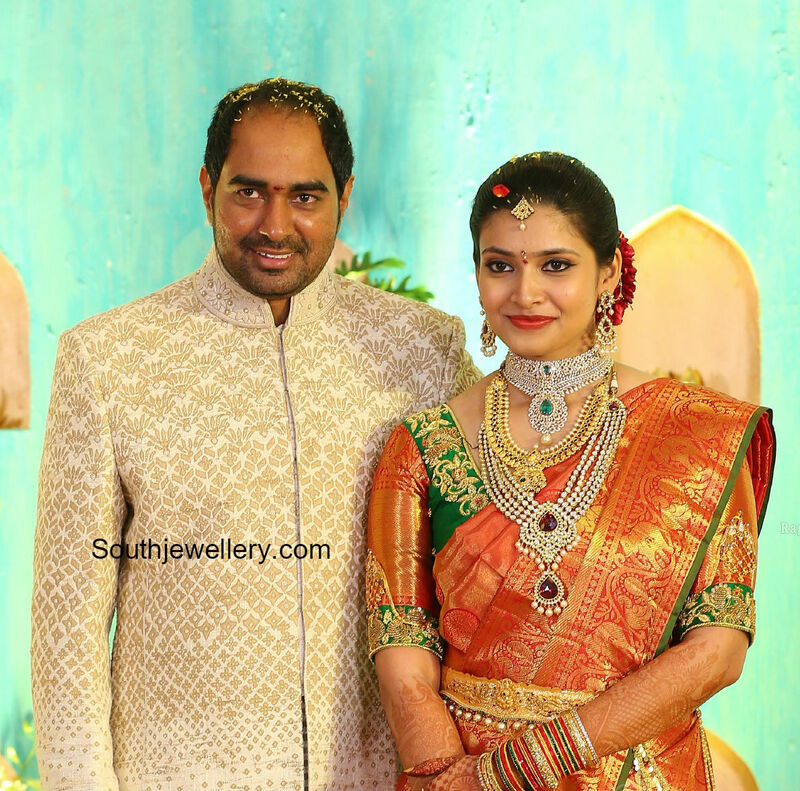 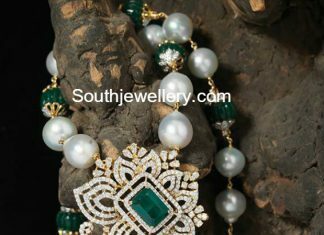 Gadgil and Sons Jewellers. 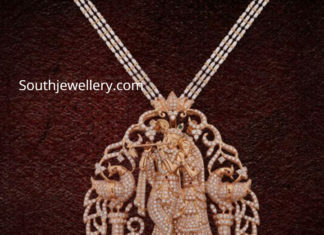 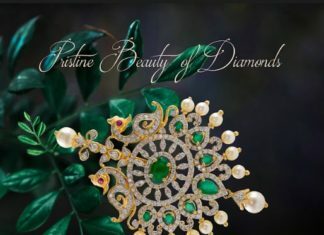 18 Carat gold Radha Krishna pendant studded with diamonds, rubies and emeralds by VBJ Jewellers.